This election season, Virginia's Department of Transportation is ushering in its own campaign. 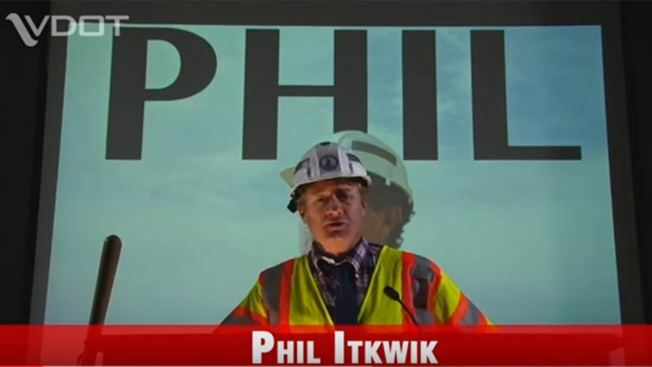 A new video features "Phil Itkwik" (yes, really) -- Virginia's new pothole hunter. VDOT's new lighthearted video features a campaign rally with Phil, urging driver to report problem dips and gaps on the roads. Crews are already out in full force trying to fill in any trouble spots. "Do we want our roads to look like Belgian waffles?" Phil asks the crowd assembled at his campaign rally. The crowd adamantly responds, "NO!" He goes on to declare, "Read my lips: no new potholes!" Drivers can report potholes in Virginia online here.